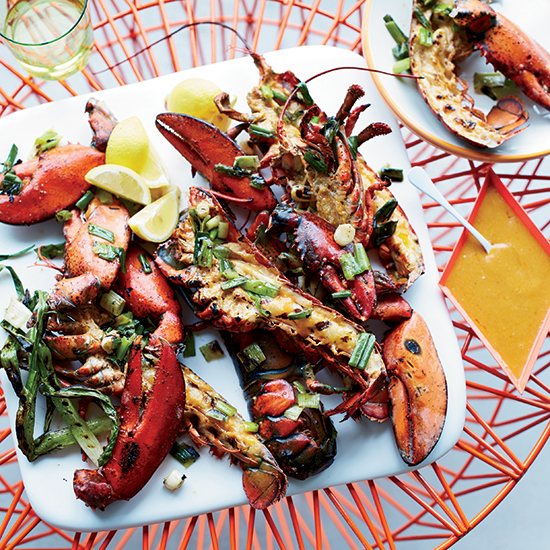 From grilled lobster with miso butter to creamy mocha ice pops, here are incredible summer recipes from a few of our favorite superstar chefs. 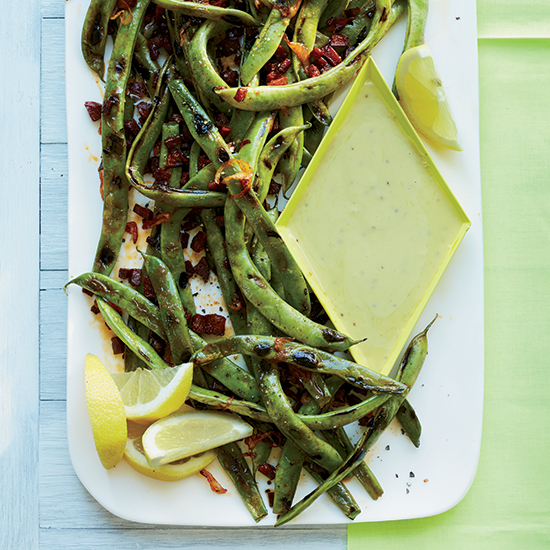 “I cook romano beans with chorizo in a cast-iron skillet on my fire-pit grill; I serve them right out of the pan to dip into an aioli I make with a whole head of garlic I’ve roasted in foil,” says chef Sarah Schafer. 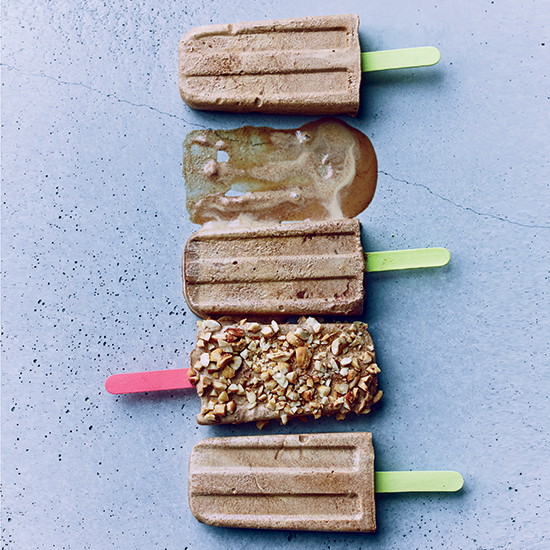 “These ice pops are like biting into a creamy cappuccino,” says chef and TV cooking-show host Gabriele Corcos. During the summer months, star chef Michael Symon likes to make dishes that are big on flavor and low on hassle, like this easy grilled chicken and cucumber salad. 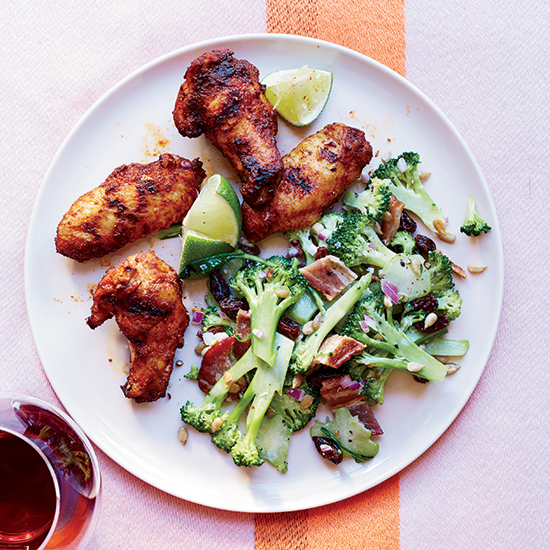 “When I’m not pushing around my skateboard or jumping on my surfboard, I’m grilling fruits and vegetables to make salsas or my other summer favorite, spicy chicken wings. I usually smoke them for 45 minutes at 220 degrees and then crisp them up on the grill. 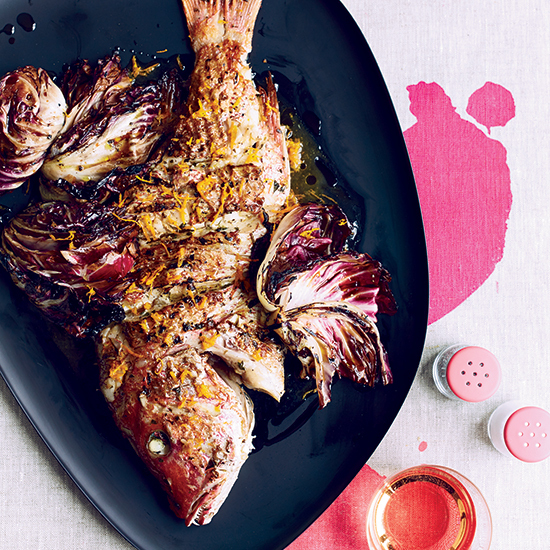 They’re good even if you just grill them for 15 minutes,” says chef Timothy Hollingsworth. Be sure to make a little extra miso butter, says Top Chef judge Gail Simmons. She tosses it with soba noodles, scallions, cucumbers and crumbled dried nori for lunch the next day. 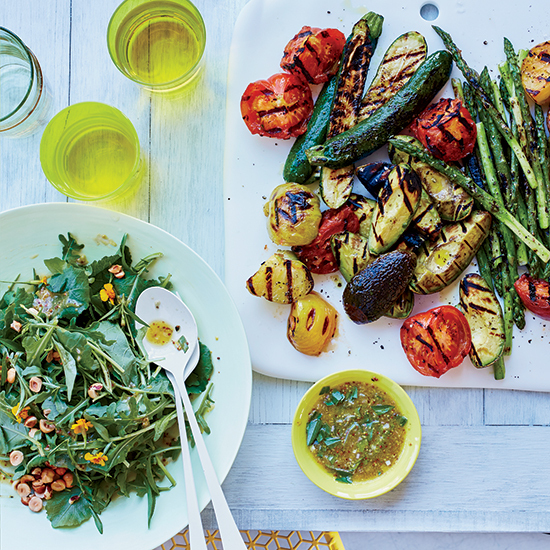 Curtis Stone grills everything in the summer, even avocados. 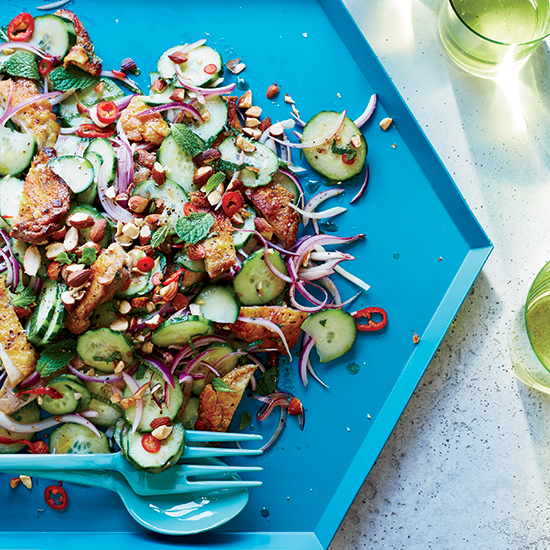 He adds chunks of them to this hearty knife-and-fork salad. Keeping the skins on makes the avocados easier to grill, but be sure to peel them before eating. 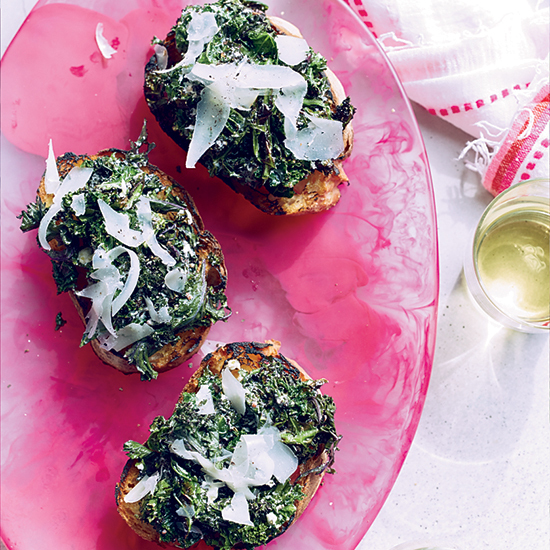 “Entertaining is so much easier with large-batch drinks. 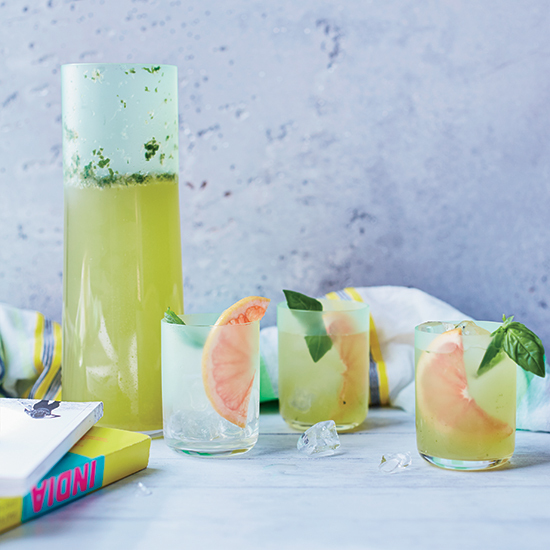 This spritzy mocktail is satisfying as is or spiked with a little gin or vodka. I bring it to the beach in a thermos to keep it ice-cold,” says Johanna Corman. “An afternoon in Malibu with a cooler full of sandwiches and Matthiasson rosé from Napa Valley, followed by a pinky-orange sunset, is my perfect beach day. 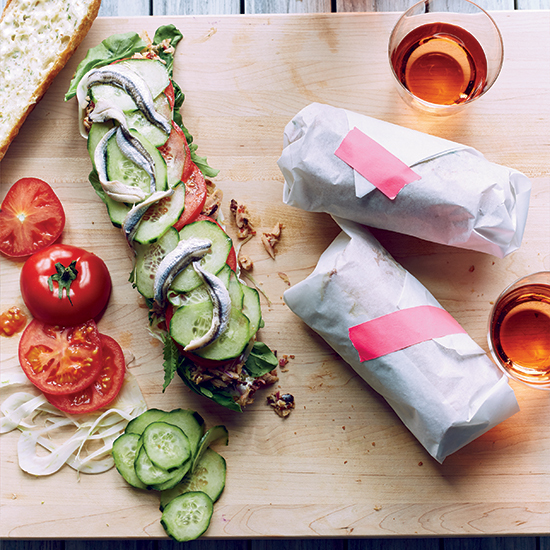 These Provençal tuna sandwiches actually get better the longer they sit,” says chef Curtis Stone. 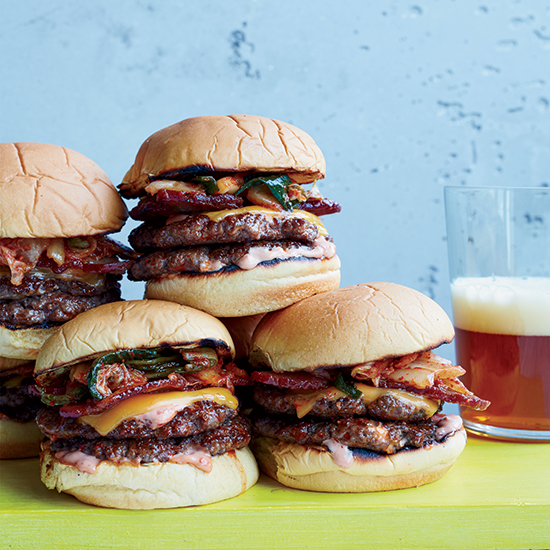 Chef Michael Symon makes this recipe when he wants to cook an entire meal on the grill—including the salad.